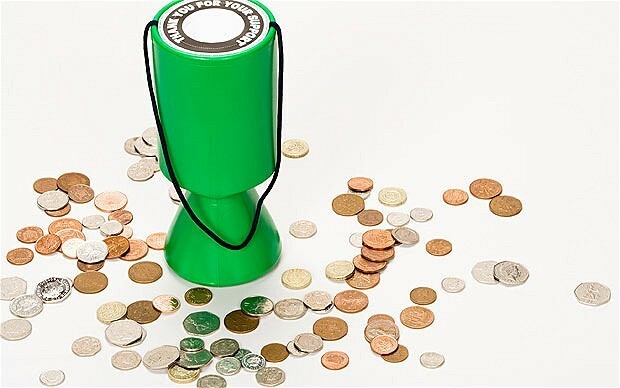 Charities are in the news again – and sadly not for their good works. Too many appear to be failing to meet the moral obligations that accompany the benefits of charitable status. Most of the nation’s 165,000 charities, run by nearly a million trustees, perform an invaluable service. I see this every day. Last week, for example, I visited Mosaic, a charity established by the Prince of Wales that mentors young people, mainly Muslims, from deprived areas and helps them into the world of work. This benefits both individuals and society – it fosters cohesion. Alongside such mid-sized projects are many “kitchen-table charities” – small groups of people who spend their free time caring for neighbours and enhancing their communities. Organisations with budgets under £10,000 make up half the registered charities in England and Wales. We are a generous nation: from the millions of us who give a few pounds to the Poppy Appeal, to the great philanthropists whose foundations and trusts are changing lives through research and education. As a result charities enjoy public support, including substantial tax benefits. But that support cannot be taken for granted. Charities must act in accordance with the values they claim to represent. The outrage at recent revelations shows what happens when charities fall below this bar. Sudden collapses of well-known charities such as Kids Company; the selling of donor data; the harassment of vulnerable donors such as Olive Cooke; the misuse of funds; ill-judged political campaigning – misbehaviour by a few tarnishes the good work of the many. All that threatens the special place in national life that charities enjoy. It sometimes seems that big charities in particular have been impersonal, aggressive and, in some cases, exploitative. And now charities such as Age UK have come under scrutiny for their commercial arrangements. The defensive response from some leaders in the sector has not helped. Rather than blame the media for unwelcome headlines, charities should welcome scrutiny. Firm regulation is vital. Turning the Charity Commission into a robust regulator has not been easy, as our budget from the Treasury has been reduced by 50 per cent to £21 million over the past six years. We have 300 people overseeing a sector worth £69 billion. I am now planning to campaign for charities to fund us, their independent regulator. Many other regulators are funded in this way. We have already changed a lot. When I arrived three years ago, I recruited a robust new board determined to use the Commission’s authority to the full. For example, we used our legal powers 1,200 times last year, up from under 200 in 2011/12. In 2013 we asked Parliament to give us further powers to regulate more firmly. It was marvellous to see the new Charities Bill complete its passage through the House of Lords last week. The new Act will enable us to tackle abuses more effectively. It will also close absurd loopholes such as the fact that, until now, people with terrorist convictions have in theory been able to run charities. The law will help us in our crucial counter-terrorism work, along with countering fraud and protecting the vulnerable. In counter-terrorism, our challenges range from the man in the high street with a bucket, claiming to raise funds for humanitarian relief but actually funding jihadists in Syria, to the large national charity whose trucks end up in an Islamic State convoy. In trying to stop Islamist abuses, we are protecting good Muslim charities as well as the public. Recent scandals have underlined just why we were right to press for these new powers. As we begin to implement them this year, people will see our profile increase. But Parliament has not asked us to regulate fundraising. Instead we will work with the charities’ new Fundraising Regulator being established by Lord Grade. He is a good choice – he knows that this is the last chance charities have to get their fundraising house in order. If they fail, the Charities Bill gives the government power to ask the Charity Commission to oversee charity fundraising too. I hope that will not be necessary. Ultimately, it always comes back to trustees. It is their duty to run their charities responsibly. Two strong parliamentary reports have just reiterated that failings in governance often lead to disaster. William Beveridge, founder of the welfare state, insisted that the making of a good society depends not on the state but on individuals acting freely together. He was right. Most trustees want to do just that, and we celebrate them. But in governing their charities, trustees must remember the responsibilities, as well as the benefits, that this nation’s charitable tradition confirms. Armed with our new powers, the Commission will be there to remind them.